The rolling hills and verdant valleys of British Columbia’s Okanagan region are home to more than 200 wineries, many of which are internationally renowned and award-winning. In fact, a number of Canada’s most prestigious wineries call this region home – Mission Hill, Cedar Creek, Sumac Ridge, to name a few – with one singled out as “B.C.’s most visited winery” by Tourism Kelowna. There are several possible reasons for Summerhill Pyramid Winery’s popularity. It could be the incongruous sight of the enormous, dazzling white pyramid towering over the central terrace (more on that later). Perhaps it’s because of the estate’s Peace Park or the quality of its 100 percent organic vineyard. Then there’s the winery’s most recent offering, Tiferet (Hebrew for beauty/glory), a new, top-of-the-line kosher wine whose very name reflects the exceptional landscape from which it was created. Summerhill Pyramid Winery was founded by native New Yorker Stephen Cipes, who moved to the Okanagan with his young family in 1986 and felt an immediate spiritual connection with the land. The developer-turned-vintner purchased Summerhill Vineyards, replanted the existing table grapes with winemaking European grapes and set to work. Located on Kelowna’s Lakeshore Wine Route, the mid-size winery has been producing organic, award-winning wines ever since, making a name for itself in European capitals. Now, three of Cipes’ four sons are involved in managing the family business. Chief executive officer Ezra Cipes spoke with the Jewish Independent from his office, which overlooks the magnificent, blue waters of Lake Okanagan. 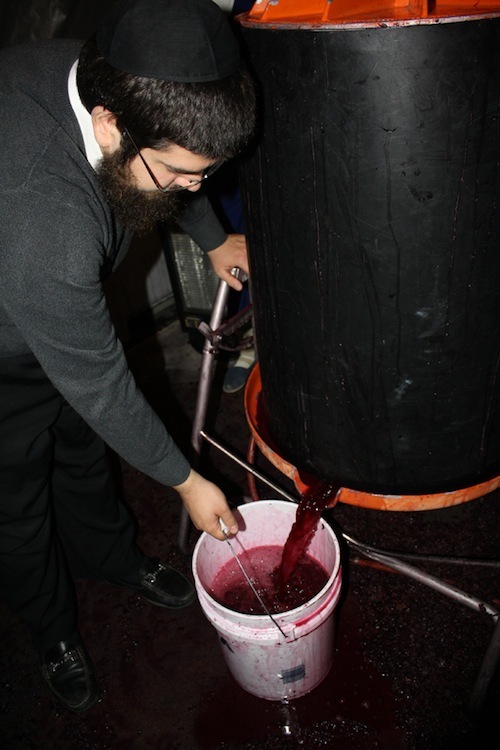 Kosher winemaking is somewhat complicated. Governed by the same kashrut laws pertaining to food (prepared under supervision of a rabbi, containing only kosher ingredients, using rabbinically certified equipment), kosher wine is further divided into two categories: uncooked and cooked. Although both are considered equal with respect to kashrut, their production and final result couldn’t be more different. 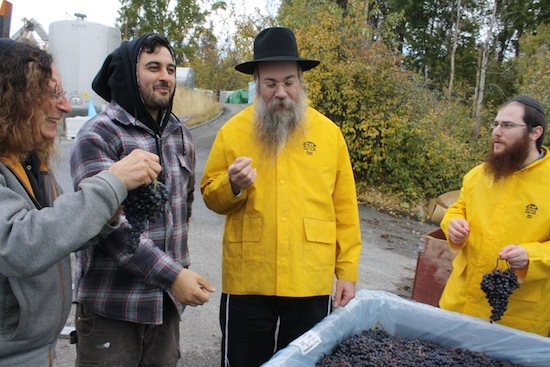 To qualify as kosher uncooked wine, the wine’s entire production – from “vine to wine” in vintner vernacular – must be handled exclusively by Sabbath-observing Jewish males. And that includes pouring. Understandably, it is well-nigh impossible for commercial producers to comply with these conditions and most opt to make the cooked category of kosher wine, if they produce such wine at all. 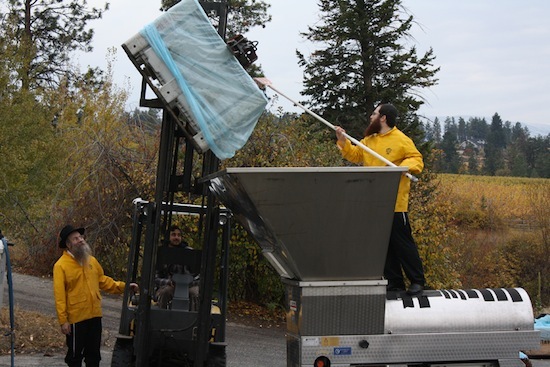 Kosher cooked winemaking allows non-Jews of both genders to handle production and serving, however, the other regulations are no less strict. For a wine to qualify as kosher cooked, it must be heated to 1850F, which, well, cooks it. And therein lies the rub. Exposure to such high temperatures significantly compromises the wine’s flavor and texture and, while most producers now use flash-pasteurization techniques to minimize the damage, there is simply no way around it. “Wine is a living thing…. By cooking the wine, we are destroying the wine,” Cipes’ explained matter-of-factly. The dilemma facing kosher wine vintners is best summed up as having to choose between quality and quantity, taking into account the obvious economics that accompany those choices. Tiferet was made with a relatively new “meritage” blend (merit/heritage), a delicate balance of Bordeaux-inspired grape varieties – merlot (60 percent), cabernet sauvignon (20 percent) and cabernet franc (20 percent) – cultivated in the semi-arid conditions of an Osoyoos organic vineyard and then brought to Summerhill to be turned into something that sounds much more than a run-of-the-mill premium wine. Only 1,200 bottles of Tiferet were made. On the telephone, Cipes struggled to articulate the sensory sensations evoked by this wine. “It has a sweet milkiness … an unusual flavor, a sweet dairy note that doesn’t linger for long … it’s almost an effervescence. The texture is … full- bodied, soft and kind of silky in your mouth, elegant, fresh, fruity. There’s an added complexity to the wine,” before returning to the rather odd-sounding, “It’s like baby’s breath.” Tiferet wine, Cipes concluded, is for a drinker who “want[s] to have an experience of beauty.” With my request for a sample politely but firmly declined, and a price tag sadly out of reach, I’ll just have to take his word for it. But, wait. What about the promise for more about that huge, looming pyramid, rivaling only the great pyramids of Egypt for alignment and precision? And the new-age-sounding Peace Garden? You’ll have to visit the winery in person to learn more – and, while you’re there, could you bring me back a bottle of that magic? Nicole Nozick is a Vancouver-based freelance writer and communications specialist.